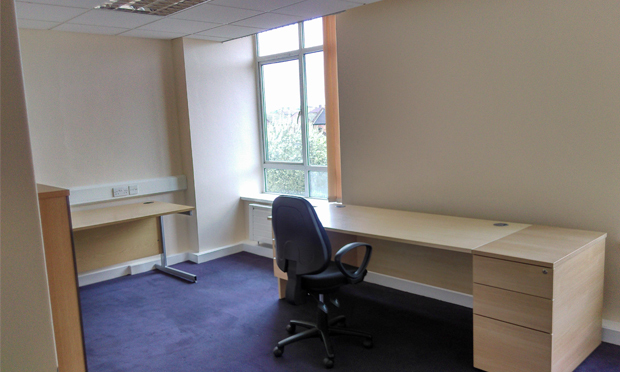 We have office space available for rent immediately, on flexible contracts. We have 1,500 square foot of space in a newly refurbished and decorated wing at St Joseph’s Hospice on central Mare Street in Hackney. Furniture is available, depending on what you need, so let us know what your requirements are. 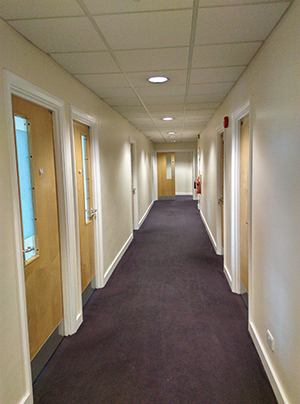 We’re charging £26 per square foot per annum, all inclusive. For more details, please contact Samantha Nasser at s.nasser@stjh.org.uk or call 020 8525 6075. All office rental space fees go directly to helping St Joseph’s Hospice to provide specialist palliative care for those in our local community. St Joseph’s Hospice cares for people in East and North East London with life-limiting or terminal illness. As well as looking after people within the hospice, we reach far beyond our four walls providing support services to people in the community. We support around 4,000 people each year: patients, their families and carers, so that they can make their own choices when they are nearing the end of life. All our services are free of charge. St Joseph’s Hospice is an independent charity, receiving 50 per cent of funding from the NHS. For the remainder, we rely very heavily on the kind donations and fundraising efforts from those in our local community. St Joseph’s Hospice was opened in 1905 by the Religious Sisters of Charity who were delivering on the vision of one of the RSC founding members, Mary Aikenhead. Mary wanted to ensure “the poor could be given, for love, what the rich could obtain, with money”. We have been caring for and supporting people affected by complex and terminal illness, as well as their families, ever since.